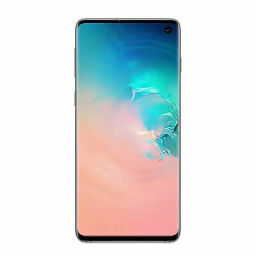 Samsung’s Galaxy S10 lineup is due for launch in February, and as usual, the company will equip the smartphones with either a Snapdragon or an Exynos. The Korean and international variants of the S10 will feature Samsung’s Exynos 9820. 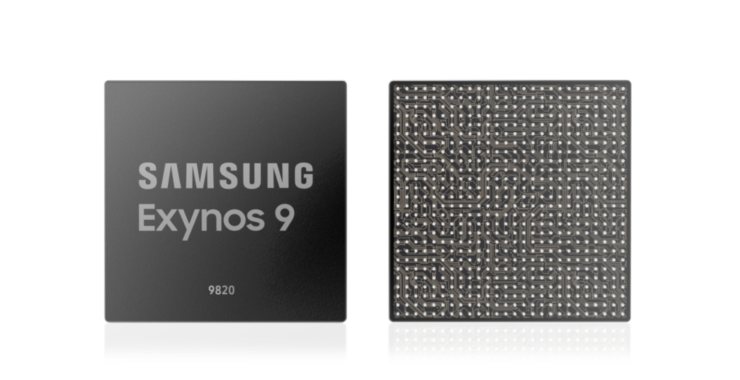 Given the focus on AI and load-sharing in cores by Qualcomm, the Exynos 9820 is an important processor as it will provide a different approach to the same challenges facing manufacturers in 2019. 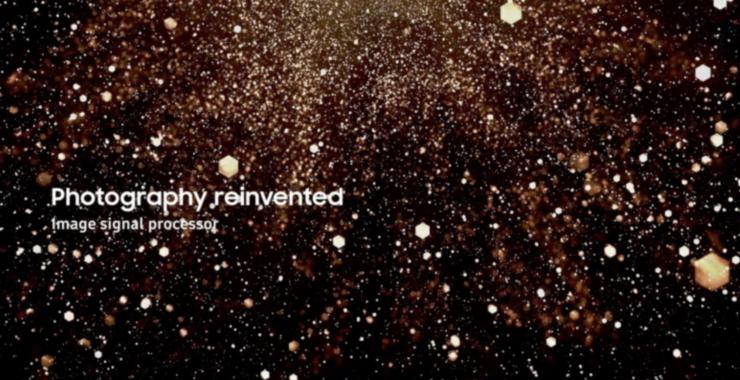 With this in mind, Samsung has once again shared some details for the Exynos 9820. Take a look below for more. One feature for their processors that both Apple and Qualcomm have gone to lengths to highlight is neural processing. Apple’s A12 features an NPU (Neural Processing Unit) that is capable of 5 Trillion Operations Per Second. Qualcomm’s Snapdragon 855, on the other hand, can perform 7 TOPS. 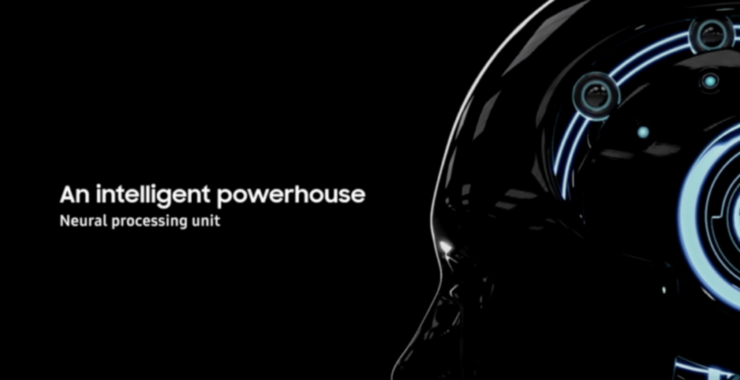 Now, Samsung gives us a reference for its Exynos 9820’s neural processing capabilities. But before we get to that, let’s first take a look at some of the SoC’s basic CPU parameters. Like Qualcomm, Samsung has also changed its CPU layout with its latest processor. While the Exynos 9810 features a big.LITTLE configuration of Samsung’s M3 and ARM’s Cortex A55 cores, the Exynos 9820 changes this to a 2+2+4 configuration. Two of these cores are Samsung’s fourth generation Mongoose cores, two are ARM’s Cortex A75 and four are ARM’s Cortex A55 cores. Samsung promises that its fourth generation custom CPU can provide up to 20% improvement in single-core performance OR a 40% improvement in power efficiency. A key upgrade on the Exynos 9820, as highlighted by Samsung, is a brand new, ‘intelligent’ task scheduler. Samsung made some rather interesting scheduling decisions on the Exynos 9810, and these, in turn, contributed to the SoC’s CPU being unable to live up to its peak potential; and when it did, this came at the expense of power efficiency. Only time will tell how well the Exynos 9820’s task scheduler functions, but we expect Samsung LSI to have learned from its mistakes. Finally, Samsung also claims that multi-core performance for the Exynos 9820 has improved by 15% over the chip’s processor. A big feature that will become a necessity on flagship SoCs in particular (if it already hasn’t) is the capability for neural computation. As mentioned above, both Apple and Qualcomm have gone to some length to highlight this for their latest processors. Now, Samsung is also joining the race. The company first introduced this feature in November last year. It claims that the Exynos 9820’s NPU will deliver seven times more TOPS than the Exynos 9810 did. Unfortunately, we don’t have the numbers for 9810’s neural capabilities, and Samsung doesn’t provide an exact figure either. As is the case with the Snapdragon 855, the Exynos 9820’s NPU will also lend a helping hand for photography. The Unit will not only manage camera settings for photography, but it will also assist the device its powering in AR and VR scenarios through object recognition. We’ve also heard that the Galaxy S10 will feature a 7nm EUV AI chip. The Exynos 9820 also features the ARM Mali G76 MP12 GPU with 12 execution units. These execution engines are also wider and double the number of lanes over their predecessor. While Samsung also claims that this GPU supports several APIs, it does not go into any further details. The Mali G76 on the Exynos 9820 offers a 40% performance boost OR a 35% increase in power efficiency. Finally, the SoC also supports HDR10+ on an external display, and 4K UHD for a smartphone’s display. Just like the Snapdragon 855, the Samsung Exynos 8920 can also record video in 8K at 30fps. This is the courtesy of its MFC, which also renders colors in 10-bit, allowing for more detailed and realistic results. The MFC also supports 4K UHD encoding and decoding at 150fps. The 9820’s ISP now supports five camera sensors (putting to rest rumors of a Galaxy S10 with six camera sensors), and as mentioned above, the image processor also utilizes AI to improve its computational performance. The 10-bit HVEC codec courtesy of the MFC also compresses 8K videos and provides up to 1 billion colors for rendering. For those of you who love storage, the Exynos 9820 also supports UFC 3.0. Now, let’s move towards the SoC’s modem and 5G connectivity. At the face of it, the Exynos 9820 will support LTE Category 20 with 8x carrier aggregation. It also features 4×4 MIMO (Multiple Input, Multiple Output), eLAA (enhanced License-Assisted Access) and 256-QAM (Quadrature Amplitude Modulation). The big question, however, is: Will the SoC support 5G? It won’t do so directly, but follow an approach similar to the Snapdragon 855. 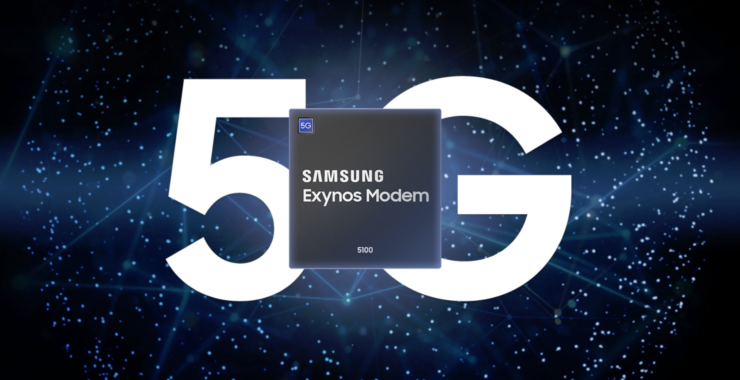 Just as Qualcomm’s 7nm SoC needs to be paired with the 10nm X50 modem for 5G connectivity, the Exynos 9820 also needs to be paired with Samsung’s Exynos Modem 5100 – also manufactured on 10nm FinFET. The 5100 supports 8x aggregation in LTE and 5G New Radio (NR). The modem can also theoretically deliver 6Gbps and 2Gbps in 5G mmW (millimeter wave) and sub-6GHz respectively. All in all, the Exynos 9820 delivers much-needed upgrades over the Exynos 9810, especially in the CPU department. The SoC’s neural capabilities look promising, but a lack of details makes it difficult to determine the range of its performance. Additionally, Samsung’s 8LPP doesn’t sound promising, but the Exynos 9820 might lay a solid foundation for a 7nm EUV successor that some quarters claim is destined for the second half of this year.